The tomb of Sultan Murad III in the cemetery of Hagia Sophia. Constructed in 1599, it has a hexagonal plan with a central dome supported by six columns. The center of the dome is decorated with the kalima-i tewhid in kufic style. Inside is decorated with coral-red Iznik tiles, mother-of-pearl, and ebony. 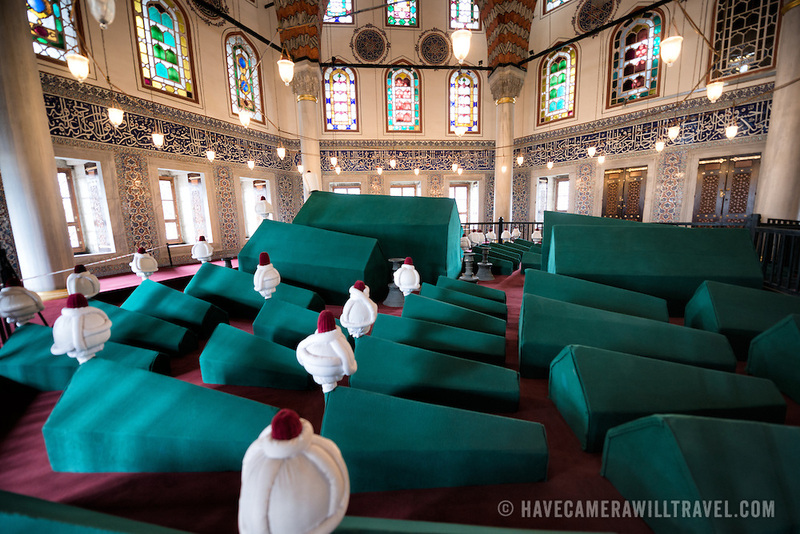 The tomb includes the Sultan as well as his wife, Safiya Sultana, and his sons and daughters. The cemetery of Hagia Sophia, next to the main building, contains five tombs belonging to Ottoman Sultans and their family members.